As a young musician, Otto M. Schwarz actually wanted nothing more to do with wind music: he was busy with pop music and with his studies at the Vienna Academy of Music. The music seemed too conservative to him, and saw no future for himself in this genre. However, when he was given the task of directing an orchestra, he had to start getting to grips with appropriate material. So it was that he began familiarising himself with some of the symphonic compositions of those who are now his colleagues, which inspired him. He set out to win over young people to this music and at the same time to confront the traditional brass band establishment and so, in 1995, he began to compose in this genre. There’s a story behind most of his pieces, which he tells us in his own language. 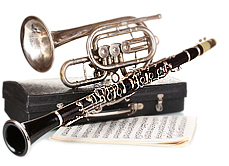 If you browse the tracks in the playlists, you’ll come across these stories together with audio examples and information on sheet music. 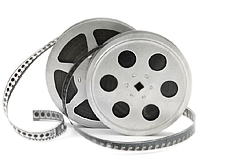 Film music represents a particular challenge for any composer, with specific demands—of which audiences are mostly unaware. Whether underscoring, mood or montage, Otto M. Schwarz masters them all equally. However, in using leitmotifs, he best expresses himself musically. In these pieces, his fans recognise his signature—which is why they are played again and again as a soundtrack and why they find their way into orchestral programs. The playlist on this website contains audio for every production of recent years. Audio for some early works is not shown for legal reasons or because it no longer exists at an acceptable quality. With this CD, Otto M. Schwarz has fulfilled a long-cherished dream and shows a new and impressive facet of his extensive creative output. 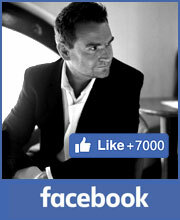 For many of his fans, it was only a matter of time before he produced music to be performed by a complete symphony orchestra. 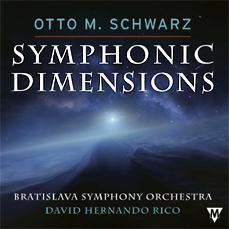 In 2013, the Bratislava Symphony Orchestra, under the direction of David Hernando Rico, recorded eight of Otto M. Schwarz’ compositions for the first time. A follow-up project is already underway. The sheet music for the new arrangements will shortly be available. 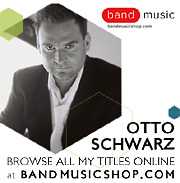 This website covers the complete works of Otto M. Schwarz with all sources and especially the new releases. All visitors can also enter performances or broadcasts themselves. Please make use of this feature and help us to keep the list complete and up-to-date. What say friends and colleagues about him? Among many examples, we learn in this video of Otto M. Schwarz personally what motivates him and what standards he applies to his music. 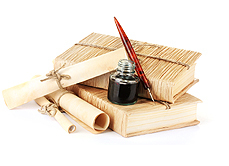 Here you can search directly for compositions, productions and other details.